← How to write a compelling story. 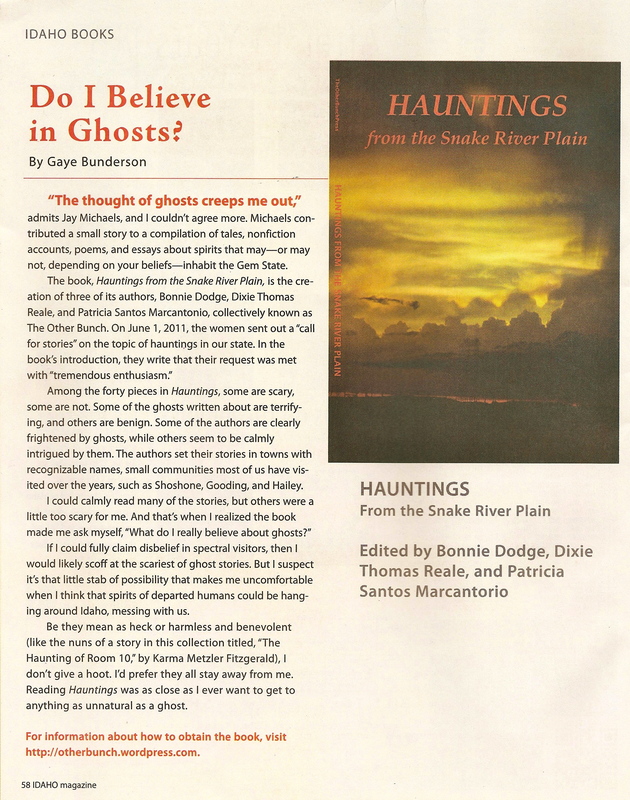 This entry was posted in Annoucements, Books, Magazines and tagged Hauntings from the Snake River Plain, Idaho Magazine, Reviews. Bookmark the permalink.